Mercedes revealed the W08 today with Lewis Hamilton and Valtteri Bottas both getting the opportunity to take the new machinery out for a spin on a very windy and wet Silverstone track. The car looks good, fast, and doesn’t feature the shark fin we’ve seen at the other launches, instead a smaller t-shaped piece of carbon fibre is currently at the rear of the car. However, the attention wasn’t really on the car but more on the great launch itself. The team offered a 360 degree live stream, and interviews with everyone involved in making the car. 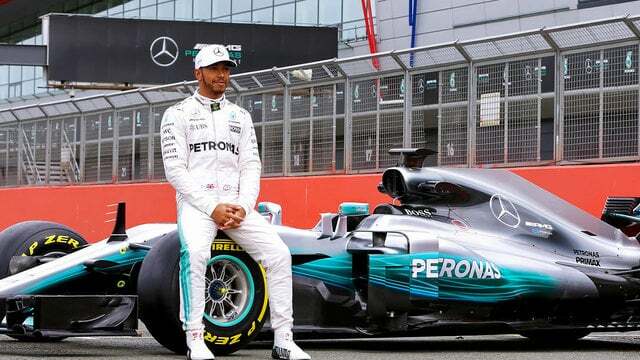 Lewis Hamilton was also simultaneously live streaming through social media and afterwards talked of what the sport must do to improve in this area.